Where are the Best Deer Hunts Near Fort Worth? If you are looking to experience one of the best deer hunts near Fort Worth (and Dallas) metroplex area, look no further than Nine Bar Ranch. Less than an hour from the hustle and bustle of big city life, this 100-year old historic ranch is the ideal location for your complete hunting experience. Owned by the Waggoner-Sauder family, a prominent fixture in the Texas ranching community for years, Nine Bar Ranch offers exclusive hunting opportunities, comfortable amenities, and Texas hospitality with an all-inclusive ranch experience. Established in 1917, Nine Bar Ranch has a rich local history and has become a legacy ranch. John Luther (J.L.) Waggoner, son of Wise County Pioneer J.T. Waggoner, founded the ranch with the initial purchase of 1,470 acres northeast of Decatur, TX. Waggoner had a life-long appreciation of the Texas landscape around him and he continued to purchase tracts of land until his death in 1948. Waggoner’s wife, Marie Patterson Waggoner, carried on the legacy of her husband with the help of their daughter, Johnnie Marie Waggoner Sauder, and several devoted ranch cowboys. The legacy of the ranch has been dutifully upheld by members of the Sauder family and Jim Bob Little, who has lived on the ranch for over forty years. The people who work on Nine Bar Ranch truly have a deep love for the land and a practiced knowledge of the property. Today, Nine Bar Ranch utilizes the beautiful Texas landscape to enhance guests’ hunting experiences. Situated on over 12,000 acres of land, the ranch has 2,500 acres of high-fenced land that is stocked exclusively for exotic hunts while the remaining land is free-ranging. The tracts of land on the ranch are made-up of a variety of types of topography and ground cover, ensuring a unique and diverse environment for guests to explore and hunt. Two live creeks, Catlett Creek and Sweetwater Creek, flow through the property along with several other large and small fresh water ground tanks. The expansive tracts and varied terrain provide a natural setting for game and a full, rich hunting experience not often found so close to major cities. All hunts at Nine Bar Ranch are fully guided by seasoned, professional guides who know the ranch inside and out. Most of these guides have spent their whole lives on the grounds of the ranch. 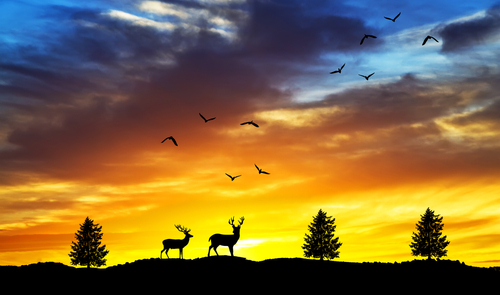 These knowledgeable experts are here to help facilitate your ideal hunting experience. Hunting is either in the form of spot and stalk or in hunting blinds – depending on your individual hunting needs and wants. Most shots are inside 200 yards, ensuring you get to bring home the trophy you are after. Deer hunts are conducted one-on-one. At Nine Bar Ranch, you call the shots. Customizable hunts are always available and the experienced staff at the ranch will help plan and facilitate the hunt of your dreams. Diversity is a key part of the experience offered at Nine Bar Ranch, with local and exotic hunts available including: Whitetail Deer, Texas Aoudad, Axis, Blackbuck Antelope, Fallow, Sika, Red Deer, Scimitar Horned Oryx, Hogs, and more. 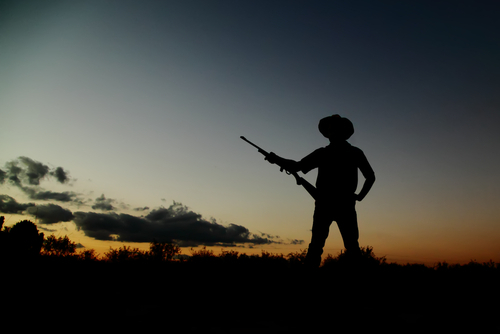 The ranch also hosts several kinds of wing hunts, including dove hunts, as well as predator and varmint hunts. For several species, hunts are offered year round. All hunts are at least two days long. The staff is happy to arrange additional days for an extended stay on the ranch. The full, diverse spectrum of the unique hunting experiences offered at Nine Bar Ranch, including pricing, can be found on our website. After each hunt, the ranch provides skinning racks and two large walk-in coolers to process and store your trophy so you can take it home and enjoy. The capable staff can also arrange local processing, taxidermy, and shipping of trophies. Nine Bar Ranch takes care of all of your hunting needs. What is better than kicking your feet up after a successful day of hunting? Nine Bar Ranch offers home-style lodging and dining options. The stone lodge includes six comfortable bedrooms, three bathrooms, a kitchen, and also features a game room and a party barn. Experience true Texas hospitality with a delicious and hearty home-cooked meal prepared right in front of you. Enjoy a relaxing night with friends and family under the stars around a roaring fire. Nine Bar Ranch aims to offer an exclusive hunting experience with comfortable, charming accommodations and all the amenities. Your exclusive, custom-made hunting experience is waiting for you at Nine Bar Ranch! Looking for an Affordable North Texas Hunting Lodge? Designed by Sofia Consulting | Copyright © 2017 Nine Bar Ranch - All Rights Reserved.